Commercial Services with Advanced Aire Flow Inc. The place where you spend most of your time other than at home is at work. You want your time there to be comfortable. We can't do much if you work outside in the elements, but if you work inside, especially in an office building, Advanced Aire Flow can make it more comfortable for you. There are a number of reasons to have your HVAC system in tip top shape but I think the most important ones are: 1) Any people that you have working there are more productive in a comfortable atmosphere, and productive people make a difference in your bottom line. 2) A system that is working poorly eats up more electricity and cools or does not heat or cool efficiently, also making a (negative) difference in your bottom line. A full diagnostic test on your entire system is in your businesses best interests. Even if you only save a little money on your heating or cooling bill, over a year that adds up to quite a sum. You want to know areas where your heating or cooling system could be failing. You may need only a simple fix or adjustment to your present system to make a big difference. With 10 years in the HVAC trade, I am a technician that can recognize these things. 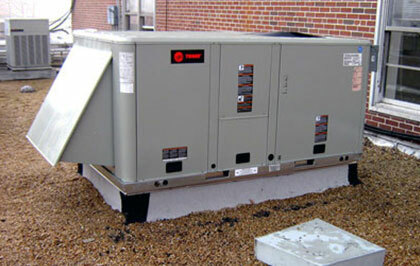 When you hire Advanced you are hiring a company that has experience in heating or cooling commercial property. I will work with you to determine the correct size, make and model for what would be best for you for heating and cooling the exact cubic footage that is your place of business. Bringing the same work ethic and expertise to your business place as we do for a home where there a family resides. Cutting corners is not something we do just because we are working for a business instead of a personal home. You can depend on the same level of care, honesty and integrity. If a simple fix or adjustment would remedy the problem, then I would make it; but if a simple fix would just mean problems in the future, I will let you know and outline the long and short term steps that you can take for a remedy. Advanced Air Flow is a business too, and I want businesses to succeed for the good of the entire community. It is important to me that your workers are in a comfortable environment. Advanced will do quality repairs at a fair price. Sometimes your heating or cooling system has more problems that would cost you more money in the long run. It is important to recognize when a heating system has outlasted it ability to heat or cool your business place in a cost efficient manner. After all, you would not want to keep an old, worn out unit that requires monthly adjustments or repairs. That would mean dollars flying right out the window and your workers would be too hot or too cold on a regular basis if repairs have to be made often. If it would be determined that by purchasing a new unit is in your businesses best interests, then Advanced will make every effort to install a unit that would suit your needs. If you were to have a unit or a system that is too small or too large, either way it would cost you money in the long run. Each office, warehouse, or factory is unique and it must be determined how many cubic feet has to be heated or cooled. Advanced Air Flow will make sure that you have a unit that is “just right” for your business based on the space you have to heat and cool. I will work with you to find the right system for you within your budget. Advanced Aire Flow has your back!